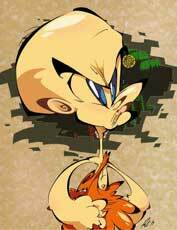 Bonk is the main protagonist of the Bonk’s Adventure games, known in Japan as PC Genjin. This series of platformers by Hudson Soft debuted in 1989 on the PC Engine (TurboGrafx-16) . There were 5 main series games and also a couple of ports, mini game collections and a mobile phone game. The series pretty much died together with Hudson Soft. 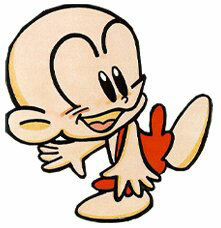 Bonk is a young but strong caveman who uses his head as a weapon to “bonk” the enemies. 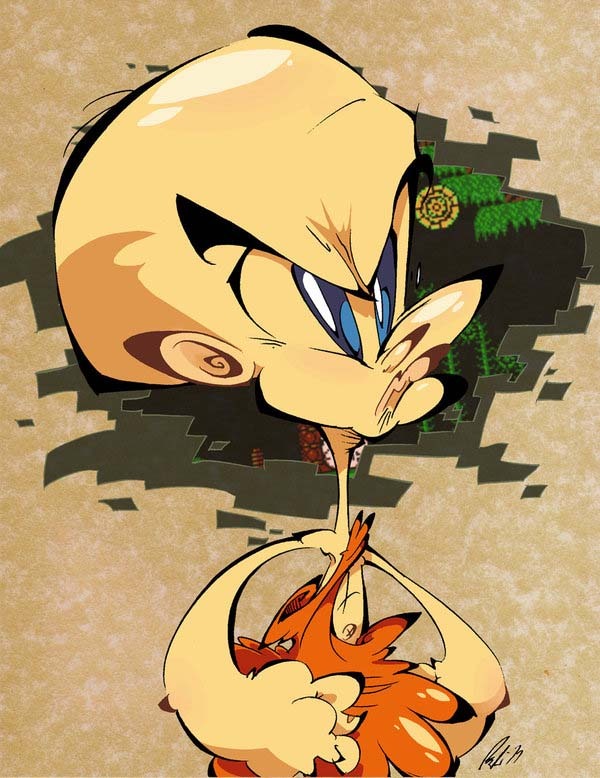 In later parts of the series on the Super Nintendo, Bonk gets transformed to use additional abilities.